Mark G. Albert, M.D., is the founder and chief surgeon of Albert Plastic Surgery. Dr. Albert is an award-winning board certified NYC plastic surgeon. Through the practice, he specializes in a variety of aesthetic and reconstructive procedures. Dr. Albert’s areas of expertise include rejuvenation of the face and neck, rhinoplasty, breast augmentation and body contouring. Dr. Albert’s advanced and highly innovative surgery techniques allow the most natural results possible for all age ranges, including his younger patients who also seek preventive in-office treatments. Beyond individual procedures, his focus as a plastic surgeon is on helping his patients in the Manhattan area achieve their optimal selves. Patients who are excited about achieving this goal find a long-term partner in Dr. Albert, as he prioritizes their concerns, safety, and satisfaction. Dr. Albert is one of the few plastic surgeons to have received post-residency training in aesthetic plastic surgery. He completed an aesthetic surgery fellowship at Manhattan Eye, Ear, and Throat Hospital, which is the oldest and most prestigious aesthetic surgery fellowship in the United States. In 2017, he was named director of this fellowship program, where he continues to teach and develop advanced techniques. This background has made him highly proficient in the full range of aesthetic treatments and surgeries. Patients in the Manhattan area choose Dr. Albert as their plastic surgeon for reasons beyond just his technical ability and medical expertise. Dr. Albert focuses on patient collaboration and providing a high degree of personalization by designing individualized plans ensuring the finest and most natural looking results on every case. As a plastic surgeon in Manhattan, Dr. Albert’s purpose is patient well-being and satisfaction. 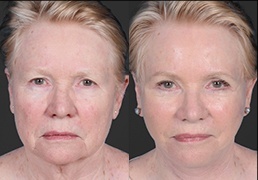 Patients may opt for a total body makeover or improvement over an extended period of time. Whatever his patients’ needs may be, Dr. Albert and his staff are available to offer continuous support and comprehensive planning towards reaching his patients’ current or long term goals. Dr. Albert’s fellowship and selection as director for Manhattan Eye, Ear, and Throat Hospital’s aesthetic surgery program followed other advanced work as a plastic surgeon. Prior to these positions, he spent six years as a resident and then as chief resident in the Division of Plastic Surgery at the University of Massachusetts. In these roles, he honed his skills in surgical and aesthetic treatments. Dr. Albert received his medical degree from Michigan State University. Ongoing professional development contributes to the excellent results Dr. Albert provides patients as a plastic surgeon. His training over the years has included emerging techniques in breast surgery, abdominal wall reconstruction, craniomaxillofacial and maxillofacial procedures, rhinoplasty, and hand and wrist trauma treatment. As director of the fellowship with Manhattan Eye, Ear, and Throat Hospital, he promotes the development of new talent in the field. Dr. Albert has licensure in New York, Florida, and Massachusetts. He is a candidate member of both the American Society for Aesthetic Plastic Surgery and the American Society of Plastic Surgeons. For the former, he is a member of the educational committee, and for the latter, he was previously part of the committee on annual meetings and instructional courses. Dr. Albert has been elected to the Alpha Omega Alpha National Medical Honor Society and received several grants to support professional development. He is an accomplished author and contributor to numerous peer-reviewed articles, textbook chapters, and scientific presentations. Beyond professional and scholarly achievements, Dr. Albert has always valued the life-changing capacity of plastic surgery. He has volunteered for three separate surgical mission trips to South America, where he has treated patients with cleft lip, cleft palate, hand deformities, burn deformities, and other reconstructive needs. Dr.Albert was born in New York City and grew up in a medical family with a father who cared for generations of patients. This experience influenced his choice to pursue medicine with an interest in becoming a plastic and reconstructive surgeon as this role would allow him to make a positive difference in people’s lives. 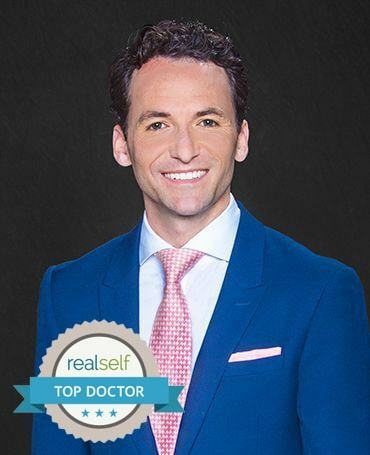 Dr.Albert is professionally and personally motivated by the idea of becoming the best version of one’s self. When he is not serving his patients as a surgeon, he enjoys competing in triathlons, cycling, running, and skiing. During his free time, Dr. Albert also pursues his artistic interests such as sculpture and drawing. His artistic ability was a definitive factor in his choice of plastic and reconstructive surgery, a field in which understanding beauty and ideal proportions contributes to optimal results. Dr. Albert welcomes the opportunity to meet you in person. Manhattan patients who are seeking an accomplished and caring plastic surgeon are encouraged to schedule a consultation.